Why did many in Chicago’s Jewish community choose to move to Highland Park? An exhibit at the Highland Park Historical Society, opening September 9, with the presenting sponsorship of Shalom Memorial Funeral Home / Shalom Memorial Park, explores this question. The answer lies in the city’s appeal as a summer resort area. 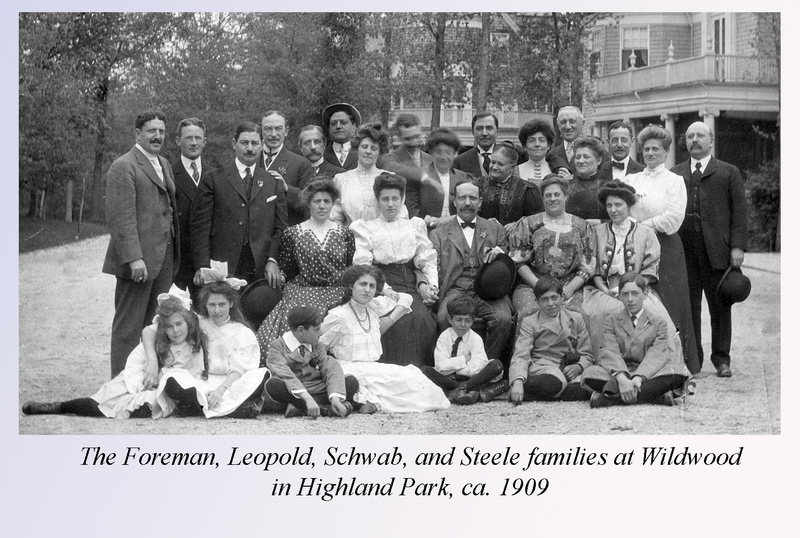 In 1900, the extended Foreman family (Foreman, Schwab, Leopold, and Steele) purchased a half block of land in Highland Park and built their own private summer resort, complete with a common kitchen and dining hall in a central club house. The exhibit opens with a reception from 3-5 pm on September 9 (complimentary refreshments) and continues through September 29. In conjunction with this exhibit, the Historical Society is holding a workshop on scrapbooking and family history 2-4 pm, Sunday, September 23. For workshop registration, museum hours or more information call 847-432-7090.